The suburb of Pretoria West has a pretty self-explanatory name which all but gives away its location. Situated in the second largest city in Gauteng (after Johannesburg), which also happens to be South Africa's de facto capital, it is not surprising that this neighbourhood attract a lot of travelers. Furthermore, its situation within Pretoria makes it easily accessible and therefore convenient for business and leisure travellers alike. The suburb is located to the west of Pretoria's central business district and to the east of the city's industrial area - making it a short journey between Pretoria West and the two places of business. The transport links there are also exceptionally good with the N4 highway (which connects Johannesburg and Nelspruit) constituting the suburb's northern boundary and the train track creating the southern boundary and the R104 road splicing the neighbourhood in half horizontally and taking onestraight into the heart of Pretoria. 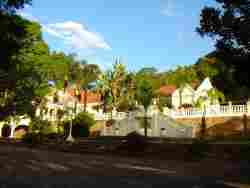 The neighbouring suburbs include Proclamation Hill, where the famous Voortrekker Monument is situated, Pretoria Gardens and the CBD. For those visiting the city on holiday, Pretoria Central probably holds the best opportunities for exploring. The centre, after all, ishome to the Houses of Parliament built almost exclusively from sandstone, as well as other beautiful old architecture. There are also a number of museums and art galleries in the central area worth exploring. Just beyond the centre,to the south east, you'll find Hatfield, Pretoria's nightlife hub, also home toa vibrant restaurant culture and buzzing with students from the University of Pretoria, situated nearby. A quick look at our website will give you the information you need to make your choice. 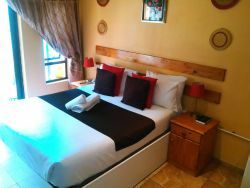 You will find reviews and you will also be able to compare prices and find wonderfully affordable accommodation in Pretoria West. Are you planning the perfect getaway but have not yet found your ideal Pretoria West accommodation? By using our easy website, you can find great accommodation of all types, whether it is a cosy bed and breakfast or a comfortable lodge. We have thousands of easy to find listings for self-catering facilities, holiday homes, guest houses and hotels as well as backpackers, chalets, caravan facilities, villas and apartments, giving you a wide variety of options when it comes to your accommodation in Pretoria West. To help you find the right place to stay, we have a number of tools that you can use, including a map. This will help you to pin point exactly where you will be staying and it will show you the accommodation facilities that are closest to where you will be. Regardless of the reason for your visit to Pretoria West, we can guarantee that you will find the type of accommodation you are looking for. But reviews for Pretoria West accommodation is not the only information you will find. Want to know if your Pretoria West accommodation is pet-friendly or allows smoking? All of that information is included on the listings page. You will also be able to find which activities are on offer and the sort of amenities included with each room. All of this information will help you to make an informed decision before you make any payments to, giving you more peace of mind about your choice. 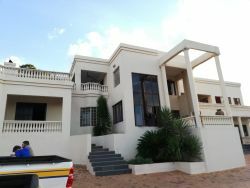 We include all of the contact details of the self-catering accommodation, holiday homes, guest houses and hotels as well as backpackers, chalets, caravan facilities, villas and apartments in Pretoria West which are featured on this website, so you also have the option of getting directly in touch with the place. 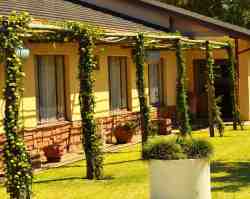 Regardless of where you are staying, we feature Pretoria West accommodation in that area of the province. 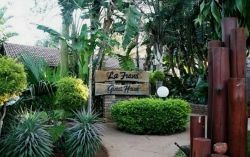 You have options of Pretoria West guest houses, lodges and bed and breakfasts, among others, ranging from your more affordable, lower prices to your more luxurious options. So, you are not visiting for a holiday but rather for business and all you need is a place to stay for a night or two? The bed and breakfast options, as well as the lodges, are generally preferred by business people and you will find all types, from your more luxurious lodges to your simple, self-catering bed and breakfast. Each will give you a safe roof over your head while you are in the province. 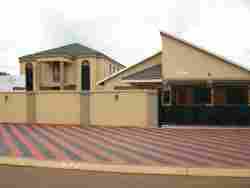 Pretoria West accommodation is not only affordable but well situated. If you are doing business in this area, this is a great accommodation choice. Spending more than a few days in the province? Perhaps you are indulging in a tour of the region and you are looking for a few places to stay? Browsing through our listed self-catering accommodation, holiday homes, guest houses and hotels as well as backpackers, chalets, caravan facilities, villas and apartments in Pretoria West will give you all of the information you need to make your selection. And once you have found the ideal place to stay, you can either request a quote or make your booking directly on this website. Sleeping-OUT.co.za is designed to make finding and booking accommodation in Pretoria West easier than your traditional methods of sourcing a place to stay! 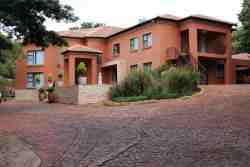 We include some great accommodation special deals in and around Pretoria West. 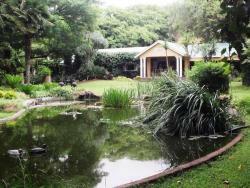 3 reviews of Pretoria West Accommodation. Seems to be quiet and peaceful neighborhood to stay. It is very peaceful and welcoming. A quiet, secluded neighbourhood with natural views!